This is a one of our top 5 plants for bees; a native that is so dramatic it looks exotic. 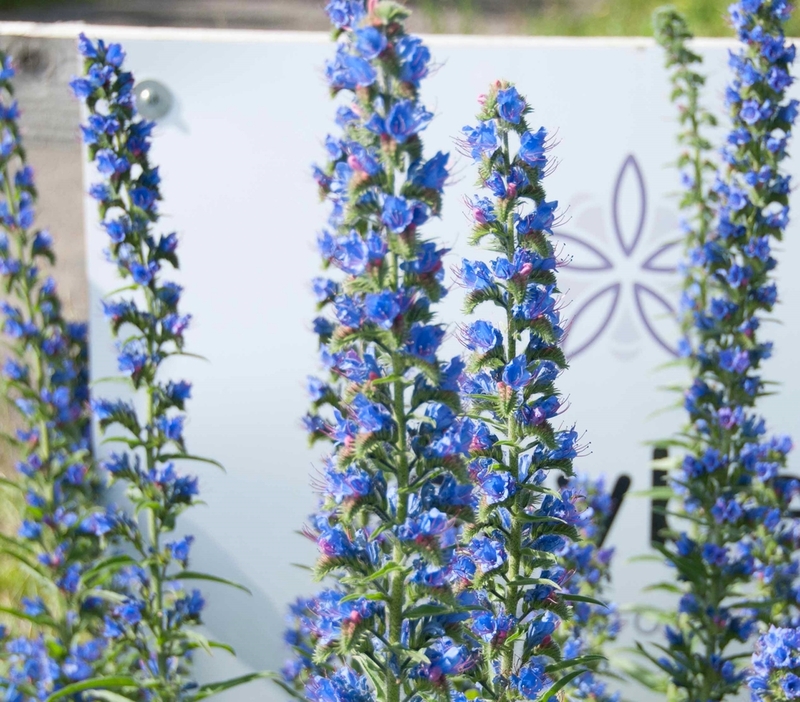 Also known as Vipers Bugloss, Echium Vulgare, this native British biennial is a member of the boraginaceae family and, along with its cousin, borage, it is a massive source of nectar for bees and a great generator for honey. From June through to September it produces tall (4ft/120cm) spiky spires of deep blue flowers that attract the full range of bees. It is particularly special for bees because it continues to produce nectar throughout the day and for abut 3 months; so you will even see bees on it in late afternoon when other flowers have dried up. The vulgare (common) species is not a plant you will ever see in garden centres and I think this is probably because the leaf rosette looks really ugly before the flowers come. But from those scruffy leaves suddenly comes a spire of wonder. It grows wild in the chalk downs where it thrives in well drained soil and although it is a biennial but it will self seed in poor dry ground; I recommend sprinkling some sand or grit under it to improve seed germination if you have nice garden soil.